One decision every business has to make is whether or not to extend credit to customers. Providing customers with credit allows them to obtain goods and services now while paying for them later. At the same time, you have to be careful to do this in a way that’s responsible and doesn’t harm your cash flow. Let’s look at how to extend credit in a way that’s beneficial to both businesses and their customers. Why should you even consider extending credit to customers? At first glance, it may seem like a risky endeavor. However, it’s a practice that can help your business in several ways. Generate More Sales. The best reason to consider extending credit to customers is that it makes your business more attractive to customers. People are often more willing to buy something if they can get it on credit. Gain an Edge Over the Competition.When you extend credit to your customers, you’re offering an advantage that your competitors may not be able to match. This is a good way to differentiate yourself and build long-term relationships with customers. This tactic is most common in B2B industries such as legal services and transportation. Enhance Your Reputation.Having a policy of extending credit can also enhance your reputation as a successful business. Since the ability to extend credit implies a certain amount of financial stability, it can serve to attract even more business and enhance your standing in the business community. Dealing with Late-Paying Customers.While most customers pay on time, there are those who are less responsible or who find themselves unable to pay. It’s always a hassle dealing with slow-paying customers who can’t or won’t pay on time. Resources Allocated to Collections and Accounts Receivable.Once you start extending credit to your customers, you have to allocate the necessary manpower and resources to handle this extra work. Effect on Cash Flow.The more credit you extend, the more limited your immediate cash flow. If you don’t plan properly, this can limit your ability to meet your own financial obligations and limit business growth. These are some of the problems that can come up when you extend credit to customers. However, this should not discourage you from initiating the practice. There are pros and cons to every business decision. If you take the right precautions and establish transparent and responsible measures, you can minimize the problems and enjoy the benefits of extending credit. 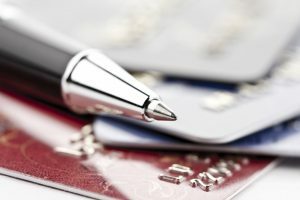 Now let’s look at some tips on how to enjoy the benefits of extending credit to your customers while avoiding the downside. Vet Customers Carefully.Make sure you thoroughly investigate customers’ credit history before extending them credit. Start by pulling credit reports from one of the major credit reporting bureaus. Extending credit to the wrong customers is probably the mistake that will cause you the most problems. Set a Clear Policy.Makes sure your customers understand the terms of when they have to make payments, the amount of interest and penalties for late payments. Be Flexible.You don’t have to offer the same terms to every customer. For example, you might start off customers with 30-day terms while offering long-term customers 60 or 90-day terms. Stay Organized.Use invoicing software to track invoices. Using software such as Quickbooks, Norton Small Business or Freshbooks lets you stay organized and track all of your invoices. If you follow these guidelines, you have a better chance of having a smooth relationship with the credits for whom you extend credit. There’s another practice, however, that can make the whole process even easier for you. Invoice factoring can help you avoid the cash flow problems that often accompany extending credit to customers. With invoice factoring, you’re able to collect advances on outstanding invoices from factoring companies. The factoring company then collects payments from your customers while you fulfill orders as usual. This is a way to reap the benefits of extending credit without sacrificing cash flow for your own business. Riviera Finance has been a recognized leader in business financing since 1969. They offer flexible invoice factoring services to all kinds of businesses to help with growth and cash flow. To learn more about extending credit to your customers, Contact Riviera Finance Today!